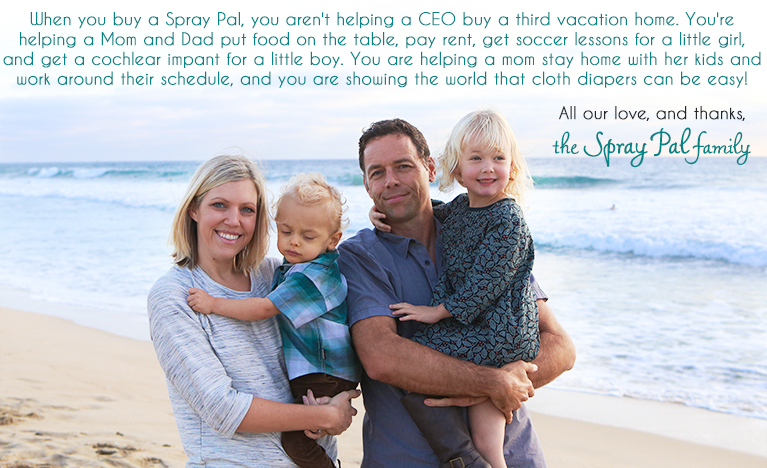 About Us: The Spray Pal family and how we started. Since then, we've gained momentum as not only the number one selling cloth diaper sprayer accessory, but we've worked hard to continue the mission to #makeclothmainstream™ and debunk myths that cloth diapering has to be overly complicated — it really can be simple! If you're looking to get started with cloth, be sure to check out our "Why Cloth?" page and join our Facebook group for all the help and support you'll ever need!